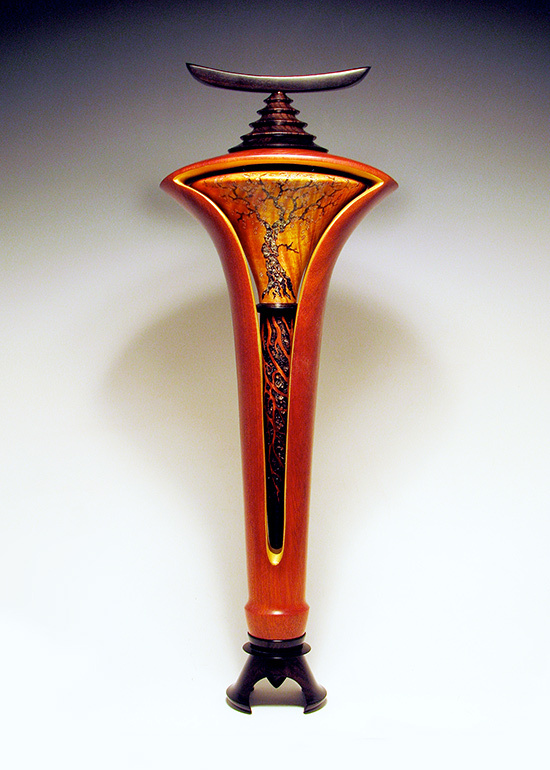 Materials: Fiddleback figured bigleaf maple, bloodwood, and blackwood with inlaid mineral crystals. Finished powdered mica, metal-acid dyes and musical-instrument lacquer. 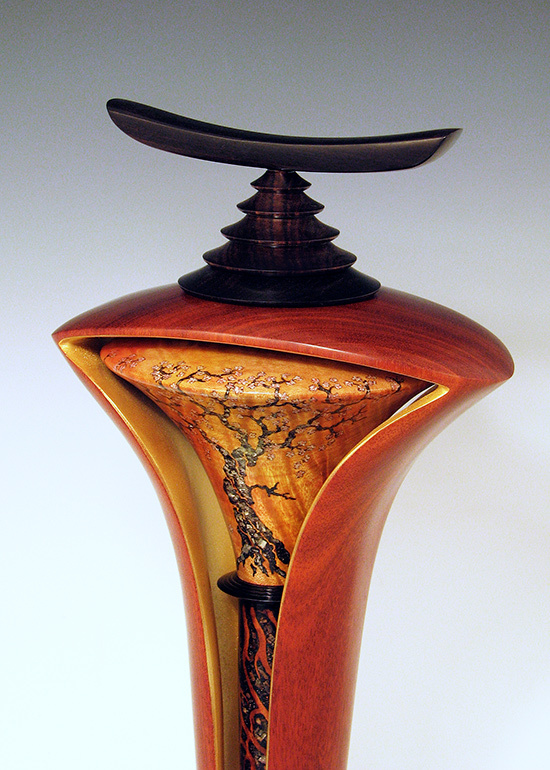 Comment: Exhibited in the American Association of Woodturners traveling exposition entitled "A Walk in the Woods". 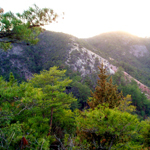 Protected enclaves for private reflection, such as wilderness areas, are critical for people faced with living in increasingly congested areas. The establishment of such areas encompasses both social conflict and individual harmony. This piece is a resolution of these aspects using the Chinese concepts of wu (the military) and wen (the cultural/aesthetic). They are resolved in the overall harmony and balance of the piece as visually represented by the torii/armor, which contains and encircles the flowering tree. The enclosed tree is itself perfectly proportioned and balanced, yet the armor and root-base are more contorted (and contain a reference to the sword) thereby providing thesis, antithesis, and synthesis. This pushes you forward and outward beyond the piece, making you reflect on the ongoing and inevitable tension between wu and wen and how they are manifested and reconciled in the pursuit of solitude and sanctuary.